0 on the Grossness Index! It’s a beautiful day at the beach. The flags are yellow and wind is from the southwest. There are small waves coming in but it’s nice for swimming. I’ve been swimming with the baby pompano for a long time! I had more than 50 around me at one point! I don’t remember ever seeing this many before, so hopefully in a few years there will be a nice population built up. The water is warm and pretty clear even with the wind and waves. Remember that day use entry, parking and tram are free this summer. 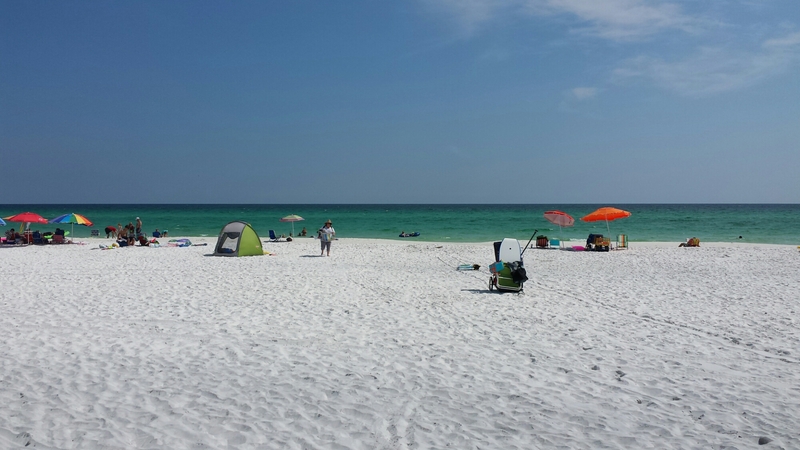 Posted on June 5, 2015, in June Grass and tagged beach conditions, clear water, June grass, pompano, santa rosa beach, thpsp, thsp. Bookmark the permalink. Leave a comment.